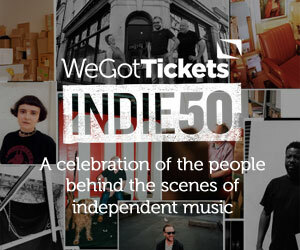 WeGotTickets started out back in 2000 when a small group of music lovers created a ticketing system for their own events. They pioneered a never-seen-before e-ticket system involving reference numbers, and what was then a slightly weird idea has evolved to become industry standard. From selling for only a handful of events, WeGotTickets has grown steadily and today we work with over 10,000 venues and promoters across the UK to sell a million tickets each year. Although the scope of our business has changed, we still have the same passion for live entertainment and commitment to simple, honest ticketing and ethical business practices that we had over 15 years ago. – Knowledgeable: With backgrounds in event promotion, band management, tour management, venue ownership, marketing and music journalism, as well as ticketing(! ), our staff really know their stuff. – Transparent: Our booking fee is a maximum of 10%. There are no hidden fees and no extra charges, so you won’t be charged extra to get in to the events you love. – Ethical: We pride ourselves on working in an ethical manner and have raised awareness of shady ticketing procedures and campaigned against immoral secondary ticketing practices. – Advocates: As go-to ticketing experts we have advised an All Party Parliamentary Group on ticketing, spoke at industry events, and given interviews to leading publications to help facilitate positive change in our industry. – Responsible: We care about the environment. Our ticketing system produces 1000 times less carbon than tickets sent in the post, we’ve offset 100% of the carbon emissions from our offices, and offer the Cycle to Work scheme to encourage our staff not to drive. – Philanthropic: We help charities fundraise through their event ticketing, and also run special campaigns for charities close to our hearts – raising around £50,000 for charity each year. You can find out more about us here, or if you’re interested in ticketing your event with us see here.